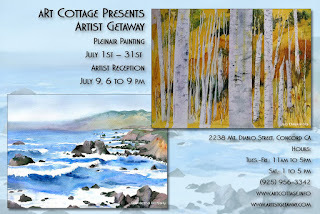 The aRt Cottage is pleased to announce our July show. For the second year we will be hosting the Artist Getaway. Artist Getaway is an adventure for artists who want to have an art trip without instruction. This group paints in the Sierra foothills, redwood forest and at the beach. These painting vacations are for artists of all mediums and abilities. They are free to paint their way, their style, in a relaxing setting with artists on vacation. 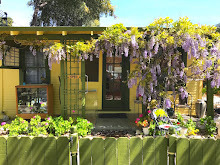 For more information visit their website at www.artistgetaway.com. 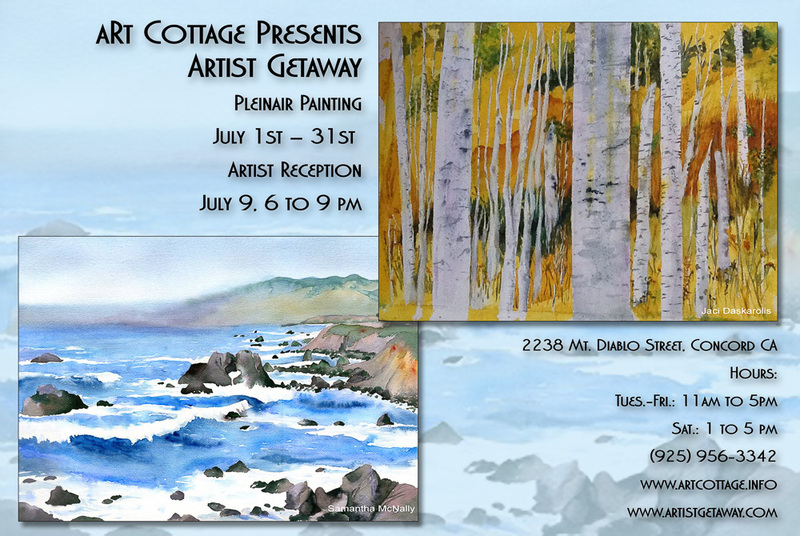 The 2nd Annual Artist Getaway Show will be at aRt Cottage from July 1st to the 31st. The Reception is July 9th from 6-9pm. There will be music, refreshments, wine and wonderful art. A People's Choice award will be presented at 8:30, so please come early to vote.